Stamford, Connecticut, U.S.A. --- Bishop AN Shuxin 安樹新主教, 57 years of age, the underground Roman Catholic auxiliary bishop of the Diocese of Baoding 保定 in Hebei 河北 Province, China, was released yesterday after more than 10 years confinement in prison. He was arrested in May 1996 and was seen only once when he visited his elderly mother for a few hours on the occasion of the Chinese New Year in 2000. During that visit, his last words to his mother were "I will see you in heaven." He has not been seen ever since by the public until yesterday afternoon when he was suddenly released. Although he has now been released, he is still under surveillance. We do not know the details of the condition of Bishop An's release, but we do understand he now has a work permit to work as a Roman Catholic bishop in China and has the permission from the Chinese government to do his pastoral work. We also understand that Bishop An has not registered with the Patriotic Association. We do not know other details. There are six more underground Roman Catholic Bishops presently in prison. They are: 1) Bishop Su Zhimin 蘇志民主教, 74 years of age, bishop of Baoding, Hebei. He was arrested on October 8, 1997. His whereabouts are not known. We do not know if he is alive or dead. 2) Bishop Han Dingxiang 韓鼎祥主教, 69 years of age, bishop of Yong Nian 永年, Hebei, was arrested in December, 1999. His whereabouts are also unknown. We believe he is still alive. 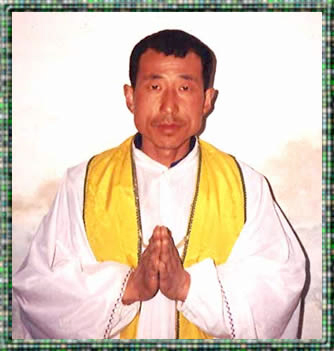 3) Bishop Jia Zhiguo 賈治國主教, 72 years of age, bishop of Zhengding 正定, Hebei, has been arrested 9 times since January 2004. The last time when he was arrested was on June 25, 2006. His whereabouts are not known. 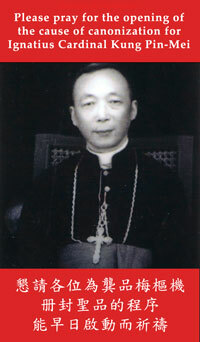 4) Bishop Shi Enxiang 師恩祥主教, 84 years of age, bishop of Yixian 易縣, Hebei, was arrested on April 13, 2001. His whereabouts are also unknown. We do not know if he is alive or dead. 5) Bishop Yao Liang 姚良主教, 83 years of age, auxiliary bishop of Xiwanzi 西灣子, Hebei, was arrested once on March 31, 2005, and was arrested again on July 30, 2006. He is now detained in Zhangjiakou 張家口 City. 6) Bishop Zhao Zhendong 趙振東主教, 86 years of age, bishop of Xuanhua 宣化, Hebei, was arrested in December 2004. His whereabouts are unknown. 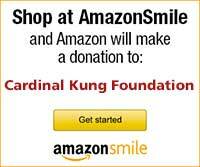 Joseph Kung, the President of the Cardinal Kung Foundation, said: "While the release of Bishop An is a good sign, there are six more bishops in jail. All other underground bishops are under surveillance, or are under house arrests, or are hiding. We hope that this release is not an isolated case, but rather the beginning of the release of many dozens of other Roman Catholic bishops, priests and faithful currently being jailed by the Chinese authorities across China. This would show China's sincerity about improving its relationships with the Vatican and its human rights policy."